Telugu actress Anjali Devi died at a private hospital in Chennai on Monday. She is 86 and is survived by 2 sons. Born as Anjani Kumari, Director Pullaiah changed her name to Anjali Devi after her entry into filmdom. Anjali was famous for portrayal in mythological films like Sita (Lava Kusha), Suvarna Sundari, Anarkali, etc. Anjali made her film debut as Lohitasya in Raja Harishchandra's film in 1936 and later starred as Mohini in Gollabhama. Since then, she never looked back and went on to act in more than 375 films in Telugu and Tamil films. 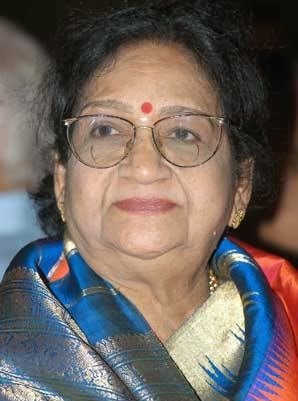 Anjali, who was married P. Adinarayana Rao, a music director, prodcuer and a lyricist, in 1940, also jointly produced many Telugu films under the banner Anjali Pictures. She acted in Lava Kusha (1963), a landmark movie and the first color film in the Telugu. Anjali was a versatile actress and played damsel, glam doll, dancer, goddess, village belle and later in motherly roles. Anjali won Filmfare Award several times for Best Actress. She was also the recipient of Raghupathi Venkaiah Award (2005) and was conferred the Ramineni Award (2006), apart from receiving several other honors.